More and more people are turning to drugs to improve their performance at work. One recent survey involving tens of thousands of people found that 30% of Americans who responded had taken them in the last year. Do they really work? And what would happen if we all started taking them? Honoré de Balzac was a great believer in the power of coffee. The renowned French writer had a punishing schedule – every evening, he would scour the streets of Paris for a café that was open past midnight, then write until the morning. It is said that he would consume 50 cups of his favourite drink in a single day. Eventually, he graduated to eating whole spoonfuls of coffee grinds, which he felt worked especially well on an empty stomach. As he put it, after a mouthful of gritty coffee: “Ideas quick-march into motion like battalions of a grand army to its legendary fighting ground and the battle rages.” It may have worked. Balzac was prolific and produced nearly 100 novels, novellas and plays in his lifetime. He died of heart failure at age of 51. US respondents reported the highest rate of use: in 2017, nearly 30% said they had used drugs for PCE at least once in the preceding 12 months, up from 20% in 2015. But the largest increases were in Europe: use in France rose from 3% in 2015 to 16% in 2017, and from 5% to 23% in the United Kingdom. The original “smart drug” is piracetam, which was discovered by the Romanian scientist Corneliu Giurgea in the early 1960s. At the time, he was looking for a chemical that could sneak into the brain and make people feel sleepy. After months of testing, he came up with “Compound 6215”. It was safe, it had very few side effects – and it didn’t work. Piracetam did have one intriguing side-effect, however. When patients took it for at least a month, it led to substantial improvements to their memories. Today piracetam is a favourite with students and young professionals looking for a way to boost their performance, though decades after Giurgea’s discovery, there still isn’t much evidence that it can improve the mental abilities of healthy people. It’s a prescription drug in the UK, though it’s not approved for medical use by the US Food and Drug Administration and can’t be sold as a dietary supplement either. Ritalin is a stimulant intended to treat ADHD but is often abused by people seeking to improve their focus. Both drugs also come with serious risks and side effects. Amphetamines are structurally similar to crystal meth – a potent, highly addictive recreational drug which has ruined countless lives and can be fatal. Both Adderall and Ritalin are known to be addictive, and there are already numerous reports of workers who struggled to give them up. There are also side effects, such as nervousness, anxiety, insomnia, stomach pains, and even hair loss, among others. T hey include: Anxiety, disrupted heart rhythm, feelings of restlessness, increased blood pressure, irritability, lack of appetite, mood swings, potentially dangerous cardiac issues, trouble sleeping, unhealthy weight loss. In the race to get ahead be it in sports, work, to make money or study many of us are doping ourselves with stimulants. To keep up, to beat fatigue or lack of sleep we prop ourselves with substances. The consequences are literally mind-bending and are devastating. So far, these so-called ‘smart drugs’ are approved only at specific doses for specific conditions, such as narcolepsy and ADHD. There are significant concerns about what their impacts may be when used by healthy people, potentially at levels outside prescription doses. Adderall is a brand-name drug that contains the nervous system stimulants amphetamine and dextroamphetamine. Adderall was officially approved by the Federal Drug Administration (FDA) in 1960 and has, in recent years, become ubiquitous. From the years 2002-2006, the sale of the drug increased by an estimated 3000 per cent. In 2010 alone, 18 million prescriptions for Adderall were issued—a surge that has put significant pressure on drugstores. Adderall can also cause unwanted side effects, though. It can cause psychosis. Psychosis is a serious mental condition in which a person’s thinking is so damaged that they lose touch with reality. The drug’s connection to psychosis dates back to its earliest uses. The term “study drugs” refers to prescription drugs used to increase mental stamina and focus to enhance studying. As mentioned, these medications are prescribed to treat ADD and ADHD, which both alter self-discipline, attention span, impulse control and hyperactivity for kids with ADHD. Stimulants, which study drugs are, tend to increase energy and concentration levels while decreasing the need for sleep or food. As time passes, these alterations to the flow and cycle of dopamine can rewire the brain and have negative impacts on the brain’s reward centre. As a result, a teenager’s brain is altered, and their ability to feel joy or pleasure without the chemical support of these study drugs is severely hindered. The more frequently these study drugs are consumed, the more firmly entrenched this brain recircuiting becomes. Over time, tolerance forms, meaning that more and more of the drug is required in order to achieve the desired effects. When study drugs eventually exit the bloodstream, withdrawal symptoms can occur within hours, demonstrating both an emotional and physical dependence on the drug. Cravings and withdrawal symptoms are very much tied to the method of abuse combined with the frequency and potency of the dose. 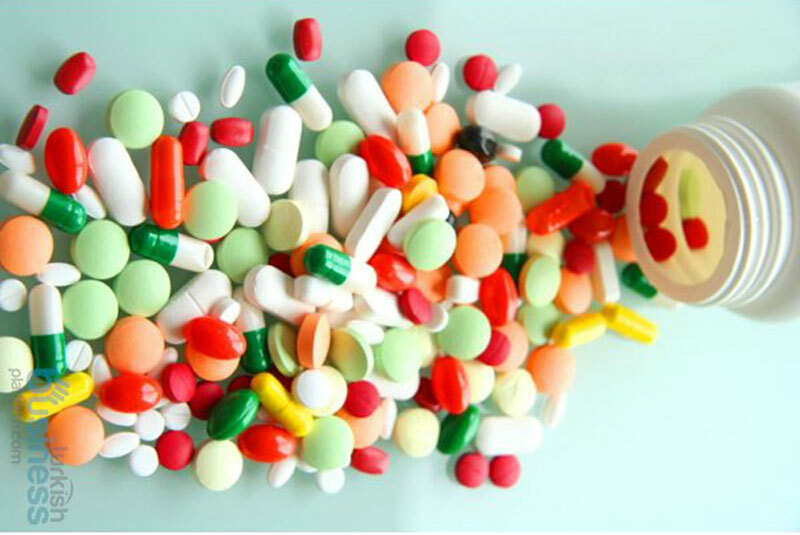 Study drugs tend to increase blood pressure, heart rate, and body temperature. Repeated abuse, especially in high doses, can lead to a host of severe medical conditions from a seizure, to a stroke, to a heart attack. It can cause long-term harm to the cardiovascular system and the heart when used regularly and in high doses. The most commonly reported study drug heart issues are tachycardia (irregular heart rate) and hypertension (high blood pressure). While not nearly as common with study drugs, there have been reports of sudden cardiac death.